Probably the most amazing experience of my life. 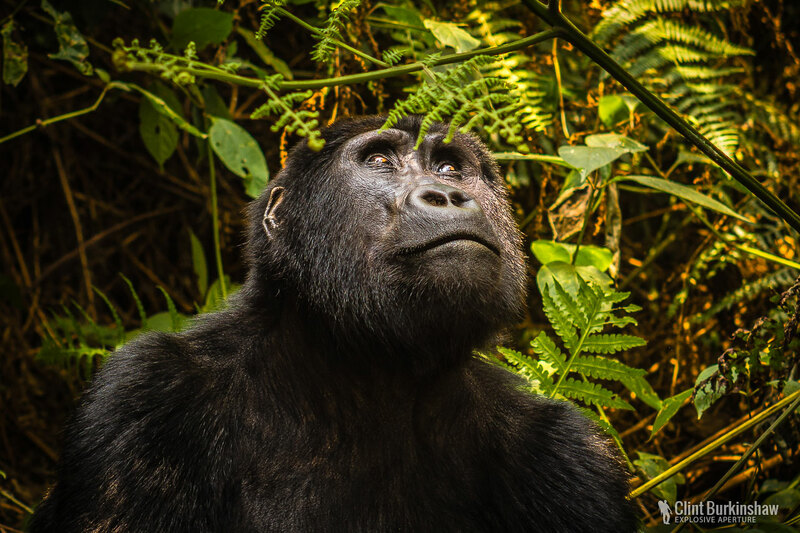 Spending over an hour with a family of 6 Mountain Gorillas in the Impenetrable Jungle, Uganda. Already multiple months deep in eastern Africa, we finally hitch hiked our way into Uganda. A several hour ride on the most insane 4WD track, brought us to the Bwindi Impenetrable Jungle. Eventually we met our trackers who we’d be communicating with, and two Guards armed with AK47′s (bordering the Congo, this jungle isn’t the safest place on earth, and there are many wild elephants in the area also). In the morning we set off and spent three and a half hours climbing straight up this mountain, following our tracking guide as he hacked our way through the most insanely dense jungle with machetes (a crazy amount of effort actually), getting bitten over by fire ants, which their bite still burned over a day later. Eventually reaching the mountain peak, where we met what we were there for; a family of six Mountain Gorillas, including the Silverback that weighs up to around 250kg’s and stands up to 2 metres tall. His arms were as thick as my torso! Seeming though he was the first we encountered, it was a very daunting initiation into the experience. But despite how utterly huge and powerful these amazing animals are, they truly are the most placid and peaceful creatures on the planet. They have absolutely no intention to cause harm and let us get within a metre or two of them. We spent over an hour with this playful family, following them around the area, just sitting with them, watching them eat and play. This hour and a half has become one of my favourite experiences in life. The memory of kneeling within 2 metres of the silver back (no, not joking) and staring straight into his eyes, with him staring straight back at you … I can’t ever describe how that felt!